I thought I had finally been done with Marshall but I was doing an internet search for any mention of me or my blog and I came across a short discussion between Marshall and I think another Christian asking about my review of David Marshall’s book on Marshall's blog in the comments. The Christian wrote him inquiring about a few of my arguments and Marshall, in his usual dismissive and derogatory manor, simply dismisses me and Richard Carrier, all the while ignoring two out of the three arguments the Christian asked about! But that’s not all. 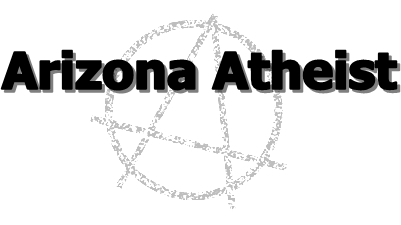 I found your blog after reading am alledged take-down of one of your books on this cite called az atheist and was expecting to find a response from you here but found nothing. Does the author's arguments hold water? Have you seen his complaints about your book? Anon: Thanks for the question. Ken (aka Arizona Atheist, aka Gifted Writer, etc) has been posting attacks on me on a variety of sites around the internet. After much prodding, I once read six or seven pages of one of his interminable "reviews" of The Truth Behind the New Atheism. There was, frankly, little in it that even seemed to address what was in my book . . . it meandered forever. Maybe later in the review he finally gets to the point, but I lost patience. You can find my responses to Victor Stenger, Richard Carrier, John Loftus, Robert Price, Hector Avalos, and other serious or at least semi-serious writers on the Internet, in some cases on this site or at christthetao. Other critics I ignore, like Tim Beazley, who probably accounts for half a dozen of the "reviews" on the Amazon site for the New Atheism book. I'm inclined to ignore Ken. If you've read the book, though, and think any of Ken's criticisms strike home, I'd be happy to respond to the ones you think most telling. If you haven't read the book, I'd suggest you do that first -- my guess is most of Ken's criticisms will dissolve for most fair-minded and intelligent readers upon reading the book. Marshall is still up to his old dishonest tricks. I’ve never “attacked” him and I can’t understand how posting a critique of a work could in any way be considered an “attack.” If all I did was insult him I’d agree but I don’t and I lay out many facts that demonstrably show Marshall to be flat out wrong on most issues. Since Marshall didn’t even bother reading even half of the review he obviously didn’t see enough of it to make any kind of informed opinion and there’s his usual immature dismissive attitude again. I even made it a point to strictly address his main arguments, though I did also discuss side issues that I felt were related to the issues Marshall raised (which is likely what he’s referring to), but to say I didn’t tackle his main arguments is just ridiculous. Again, his lack of reading it in its entirety makes his opinion invalid. In his critique of the first chapter he argues that you’ve taken Justin Martyr out of context. >>>>Marshall also quotes a few early christian apologists as to their views on faith. On page 21 Marshall writes, “Justin Martyr wrote, 'Reason directs those who are truly pious and philosophical to honor and love what is true, declining to follow traditional opinions.' Origen...argued that there was good evidence (in archeology, history, miracles, and prophecy) that the Christian faith was, in fact, reasonable." In the second chapter he says that you are wrong about Richard Sternberg and his persecution. He references a website that talks about emails contradicting Richard Sternberg’s accusations. He also complains about your views on Intelligent Design. The review is so long it would be impossible for me to mention everything I saw and I've already taken up two comments but these are a few things that jumped out at me that seem like decent challenges to a few of your arguments. Anon: Are you Ken? If you are, that's fine -- I don't have time for a long debate, but I'll answer these questions, anyway. (I haven't even taken the time to read all Dr. H's challenges yet on other threads yet, still less reply -- and he's a friend!) But I'd prefer to know who I'm talking with. I'm not taking Justin out of context. The issue is whether or not Justin thinks faith should be blind, believing without good reason, in other words, not whether his reasons are in fact good. 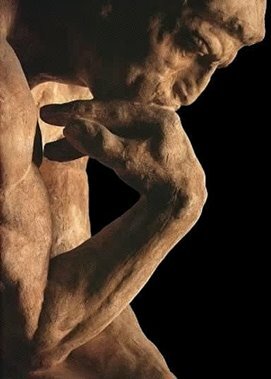 So even if all his arguments stink, his position that faith should be premised on reason would undermine Dawkins' claim that Christian faith means "believing without reason, or in the teeth of reason." The quote I give shows that Justin does not think that, and so would arguments from Scripture. It's also not true that Justin relies only on Scripture. Carrier is just wrong, as he is about many things, being something of a blowhard. "But lest anyone think that this is an unreasonable and reckless utterance, we demand that the charges against Christians be investigated, and that, if these be substantiated, they be punished as they deserve . . . But if no one can convict us of anything, true reason forbids you, for the sake of a wicked rumour, to wrong blameless men . . . "
Justin is asking for a careful legal review of the evidence, which will show the charges against Christians are baseless. That is not an appeal to Scripture; Carrier is wrong. While an appeal to Scripture might be reasonable for Justin, given his premises, in fact that is not the context in which the quotation I gave is made. The thing about Justin blaming demons for preempting the Gospel is a popular canard among Internet atheists. I sent an article partly on this canard to a magazine a week or so ago. Probably they won't print it, because naturally they don't want to get into a debate with people like Freke and Gandy (who seem to have popularized this.) If the article isn't printed, I'll probably post it here, eventually. One of my main points in that article is that the Internet kills brain cells, by encouraging people to "read" people like Justin Martyr and Clement second-hand, rather than for themselves. You'll get hoodwinked that way every time, especially if you read someone like AA, who I don't think reads them for HIMSELF either, or Carrier, who is too much of a bigot to represent the facts fairly. So instead of answering your question about Clement, let me just suggest that you read the original -- which is well worth reading, as is Justin -- and make up your own mind. There is so much that’s wrong here I don’t know where to begin. First off, it’s obvious Marshall has gotten paranoid in his old age, and he insults both me and Carrier to boot! Second, did I say anything about demons? Nope. Third, he did nothing to answer the objection because I’ve read Justin’s First Apology (and link to it in the footnotes in my review) and Carrier is correct that the only source for Justin’s beliefs and his “evidence” are the scriptures! Yes, he said that we should ‘investigate’ Christianity but just how does he want to go about that? He relies on what the bible says - that’s it. He did not check the validity of the things he had heard or read and therefore cannot be counted as an ‘investigation.’ Far from it! So, yes, I’d say Marshall takes Justin out of context. On ID, I don't see anything there that needs a response -- it all seems subjective, ad hominem (and therefore boring) and tangential to my point. Talk about ad hominem! Not only did I cite references backing up my claims but I simply said that what Marshall wrote was borderline dishonest...which it most certainly was! That’s not an insult...I’m stating a fact that’s backed with evidence. Because what I wrote was not in any way subjective - the evidence is cited right there in the footnotes - I can’t see how Marshall can make that statement with a straight face. As far as what I wrote being “tangential” to his point, no it wasn’t. Marshall discussed a few things in that chapter but one of the main things is his belief that intelligent design shouldn’t be dismissed by scientists and should welcome the critiques and not just shut out the IDers and maybe evolution will be better off for it. So, again, no, that’s not in any way a diversion from the theme of the chapter. You can go read my take on chapter four and make up your own mind. You can also currently read nearly the entire chapter of Marshall’s book on Google if you don’t own it. The other issue about Richard Sternberg was just ignored, as usual, just as when I’ve brought this error of his up in the past. That just goes to show how poor Marshall’s arguments really are. He can’t - and won’t - even defend them when asked by Christians!